There is no denying that wood is a beautiful addition to any home. From your windows to your door frames, and your coffee tables to your flooring, wooden elements can really add a homely feel that will never go out of fashion. However, there is a lot that needs to be considered when choosing any sort of wooden feature for your property. One of the main factors that need to be taken into account is the type of wood you are going to go for. 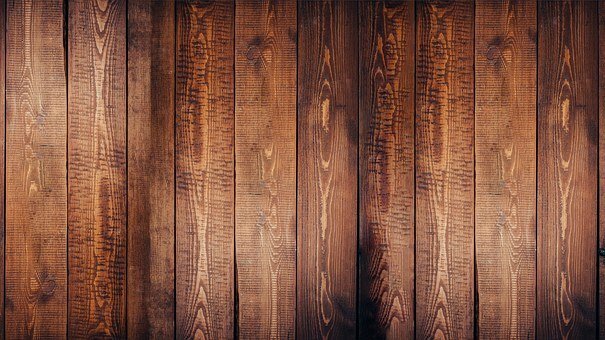 Before we can get into matters such as oak and walnut, you first need to distinguish between hardwood and softwood, which is exactly what this post is going to explain in further detail. Well, hardwood is hard, and softwood is soft, right? There is a lot of confusion surrounding the difference between ‘hardwood’ and ‘softwood’. This generally derives because of their names. People tend to assume that hardwood is harder, and softwood is softer. However, they are not differentiated based on the density of the wood. After all, balsa wood is deemed a hardwood yet it is one of the lightest and softest woods available, and reliable companies like Boulder Window would not recommend something like this as a structure for your windows or patio doors, despite the name. So, what is the difference between these two types of wood? The difference between the two types of wood actually depends on the reproduction of the plant. Hardwood comes from angiosperm trees, whilst softwood comes from gymnosperm trees. Angiosperms are those that produce seeds with a form of covering, for example; apples or acorns. Gymnosperms are those whereby there is no covering and thus the seed falls to the ground, for instance; pine and fir. Now that the difference between the two kinds of wood has been differentiated, let’s delve a little bit deeper into their uses and benefits. In general, hardwoods – such as oak and walnut – tend to be more expensive than softwood – such as pine and cedar. The reason for this is usually because hardwood tends to offer better quality when it comes to constructing structures for the home. After all, hardwood is a lot more durable and long-lasting. Not only this, but it is widely considered to be much more weather resistant too. Therefore, whilst hardwood may cost more, many argue that it is worth it because you make the money back in terms of how long the product or structure in question lasts you for. Aside from this, there is also a distinct difference between the colours of the two woods. Hardwoods tend to be dark in appearance, whilst softwoods are light. So, hardwoods are great for those who are looking to create a deep, inviting, and intriguing vibe. On the other hand, softwood has a more refreshing and enlightening feel to it. Of course, thanks to wood stain and other products, you can easily alter the appearance of a wood. And hardwood is considered particularly great when it comes to taking finishes and stains. But if you are looking for the natural effect then it is worth bearing this in mind. Aside from the points already mentioned, hardwood is also considered to be a great material because it resists warping and shrinking. Not only this but because hardwood is strong and resists moisture, it is also recommended for flooring. Nonetheless, softwood also possesses some distinct advantages over hardwood too. One of the main benefits is the fact that the colour of the wood tends not to change when exposed to different weather conditions. However, hardwood can change when exposed to light. Not only this, but they also have a low resistance for decay, and this is why it is a popular choice for windows. And on a final note, they can easily be carved too, and thus they are great for intricate detail. Hopefully, this blog post will have given you further clarity regarding the difference between hardwood and softwood. Both possess their distinct benefits and when it comes to which is better it all depends on what you are using them for.